This Guy Taught Con Law? I don't exactly have fond memories of my constitutional law ("con law" in law student speak) classes at the University of Texas. Ironically for everyone except lawyers, you don't spend a lot of time reading the Constitution in a first year con law class. Why? Because the joke's on you if you think the Constitution has anything to do with modern constitutional law! Haha! The Constitution means what the court says it means, silly. At least, that is what we are taught. Indeed, the Court has essentially promulgated itself as the final authority on the Constitution since 1803. In the seminal case, Marbury v. Madison, the Court declared authority of judicial review of the legislation passed by congress under the Constitution. This has been the accepted constitutional order of things for the last 209 years. Remember, the President taught con law at the University of Chicago Law School. If the President had submitted this as an answer on his con law final, he would have flunked the course! Putting aside his factually inaccurate statement about the "strong majority" that passed the law, the Court has struck down 57 legislative acts since 1981. Let's hope that number rises to 58 by next July. Indeed, this has been the Court's role to play since 1803. His comment about "conservative commentators" is also rich. This is a weak attempt at a straw man defining "judicial activism" as the act of an "unelected group of people" overturning "a duly constituted and passed law." This is either rank ignorance or a blatant deception. Judicial activism has nothing to do with finding a law unconstitutional. 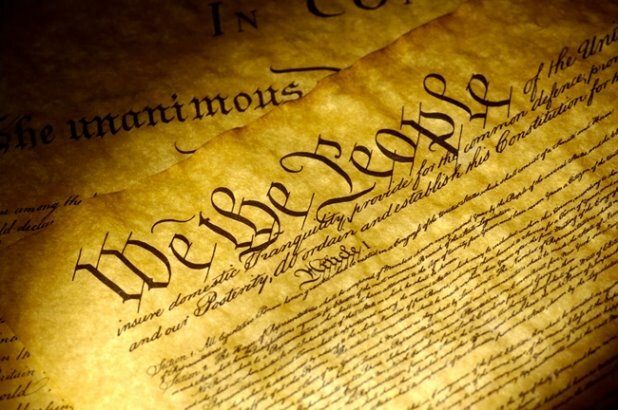 The judicial activist goes out of his way to torture the text or meaning of the original constitution or law to get the end result in policy that he really wants. It might mean he finds the law constitutional or unconstitutional. It doesn't matter. It is the policy result that counts. In essence, he is making up the law on his own, or "legislating from the bench." It has been amazing how unprepared supporters of Obamacare were for the tough hearings the law encountered last week. They have been saying for two years that the case would be a slam dunk in their favor and they actually believed it. I guess you can count the President among them. He tends to get a little off message when things don't go his way. Let's hope the streak continues.